Picture attached was taken at exactly five weeks. Have any other twin moms experienced this? I am so sorry to hear about your news. 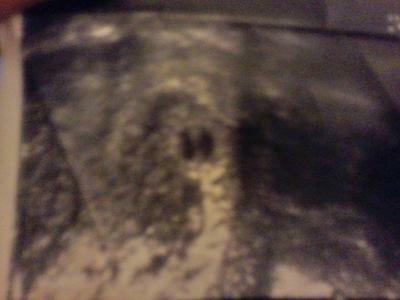 I am 9 weeks pregnant with twins as of 6 week ultrasound. I go back in on friday the fourth of Jan to check again. I am worried about the same thing happening to me. did you have bleeding before you went back in to your dr.?